The growth of biostatistics has been phenomenal in recent years and has been marked by considerable technical innovation in both methodology and computational practicality. One area that has experienced significant growth is Bayesian methods. The growing use of Bayesian methodology has taken place partly due to an increasing number of practitioners valuing the Bayesian paradigm as matching that of scientific discovery. In addition, computational advances have allowed for more complex models to be fitted routinely to realistic data sets. 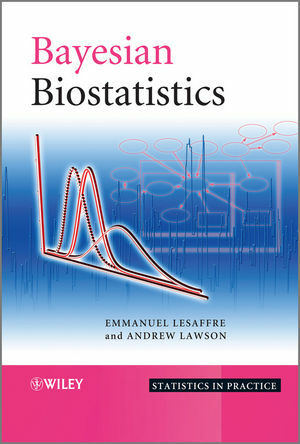 Through examples, exercises and a combination of introductory and more advanced chapters, this book provides an invaluable understanding of the complex world of biomedical statistics illustrated via a diverse range of applications taken from epidemiology, exploratory clinical studies, health promotion studies, image analysis and clinical trials. Provides an authoritative account of Bayesian methodology, from its most basic elements to its practical implementation, with an emphasis on healthcare techniques. Contains introductory explanations of Bayesian principles common to all areas of application. Presents clear and concise examples in biostatistics applications such as clinical trials, longitudinal studies, bioassay, survival, image analysis and bioinformatics. Illustrated throughout with examples using software including WinBUGS, OpenBUGS, SAS and various dedicated R programs. Highlights the differences between the Bayesian and classical approaches. Supported by an accompanying website hosting free software and case study guides. Bayesian Biostatistics introduces the reader smoothly into the Bayesian statistical methods with chapters that gradually increase in level of complexity. Master students in biostatistics, applied statisticians and all researchers with a good background in classical statistics who have interest in Bayesian methods will find this book useful. Emmanuel Lesaffre, Professor of Statistics, Biostatistical Centre, Catholic University of Leuven, Leuven, Belgium. Dr Lesaffre has worked on and studied various areas of biostatistics for 25 years. He has taught a variety of courses to students from many disciplines, from medicine and pharmacy, to statistics and engineering, teaching Bayesian statistics for the last 5 years. Having published over 200 papers in major statistical and medical journals, he has also Co-Edited the book Disease Mapping and Risk Assessment for Public Health, and was the Associate Editor for Biometrics. He is currently Co-Editor of the journal “Statistical Modelling: An International Journal”, Special Editor of two volumes on Statistics in Dentistry in Statistical Methods in Medical Research, and a member of the Editorial Boards of numerous journals. Andrew Lawson, Professor of Statistics, Dept of Epidemiology & Biostatistics, University of South Carolina, USA. Dr Lawson has considerable and wide ranging experience in the development of statistical methods for spatial and environmental epidemiology. He has solid experience in teaching Bayesian statistics to students studying biostatistics and has also written two books and numerous journal articles in the biostatistics area. Dr Lawson has also guest edited two special issues of “Statistics in Medicine” focusing on Disease Mapping. He is a member of the editorial boards of the journals: Statistics in Medicine and .